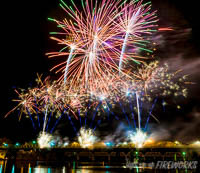 Professional Fireworks Displays and Pyrotechnic Services for Bundaberg, Hervey Bay, Gladstone, Rockhampton, Fraser Coast, Wide Bay and Beyond. 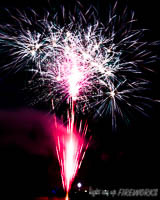 We have been providing pyrotechnic displays to Queensland and New South Wales for over 30 years. 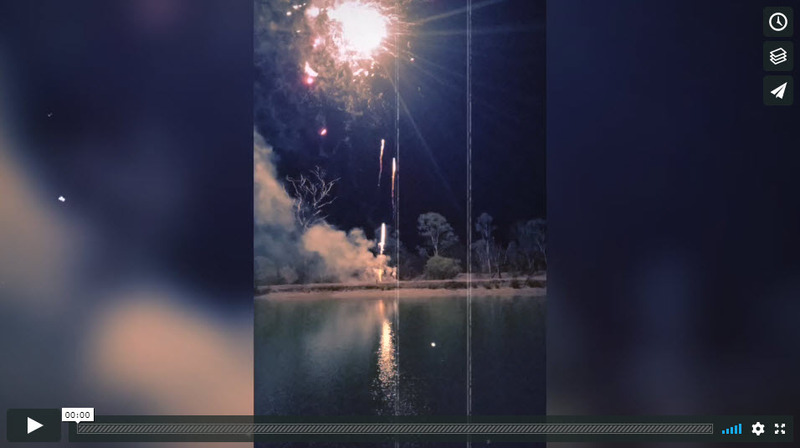 We have been providing pyrotechnic displays to Queensland and New South Wales for over 30 years, having worked on many major displays in Australia. Our team has the experience and resources to add a breathtaking dimension to your event, whether you need a display to compliment your community, corporate or signature event, wedding fireworks, or something to highlight a family celebration. 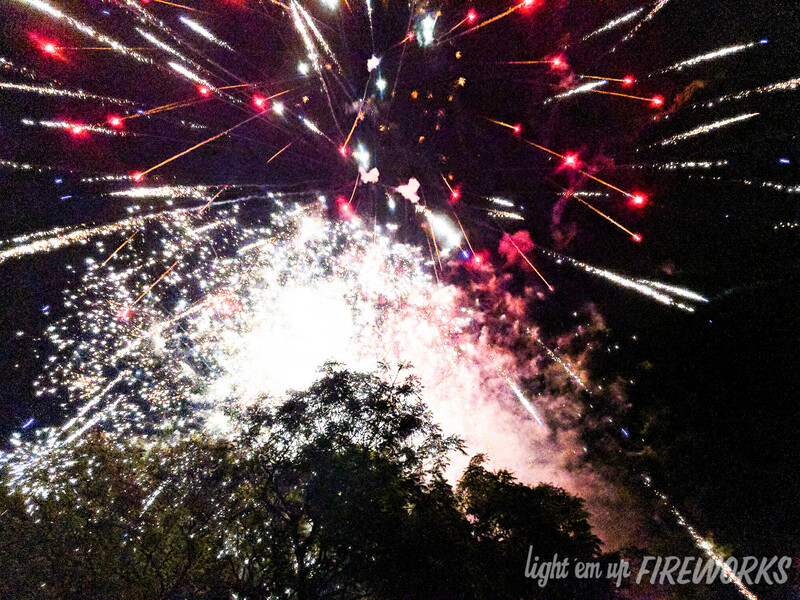 So what can Light 'Em Up Fireworks do for you? Since 1987 We have staged 1000's of displays and fired thousands upon thousands of varied effects. Each year we source and test the very best products available. Our team will design and implement a display to your requirements with a professional approach in every aspect. 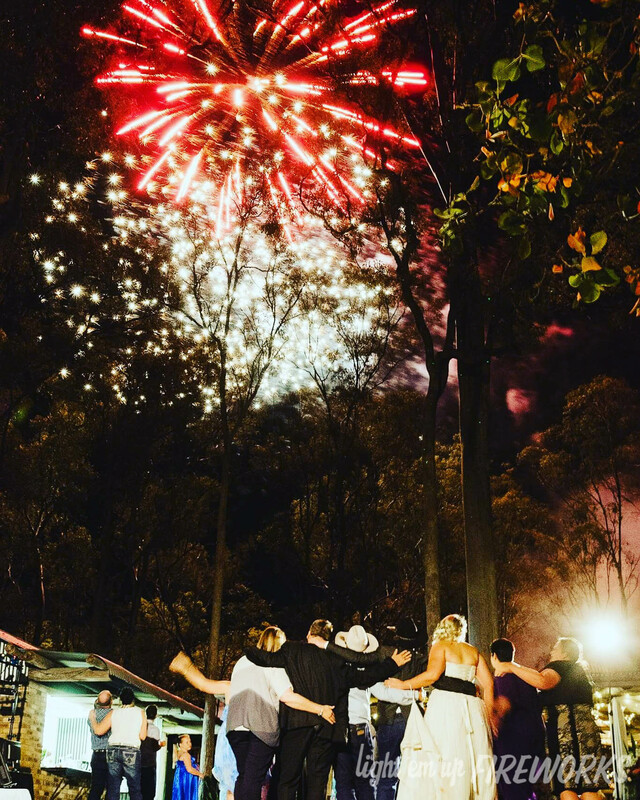 A spectacular Fireworks Display will bring incredible attention and excitement to your event, helping showcase what your community has to offer. 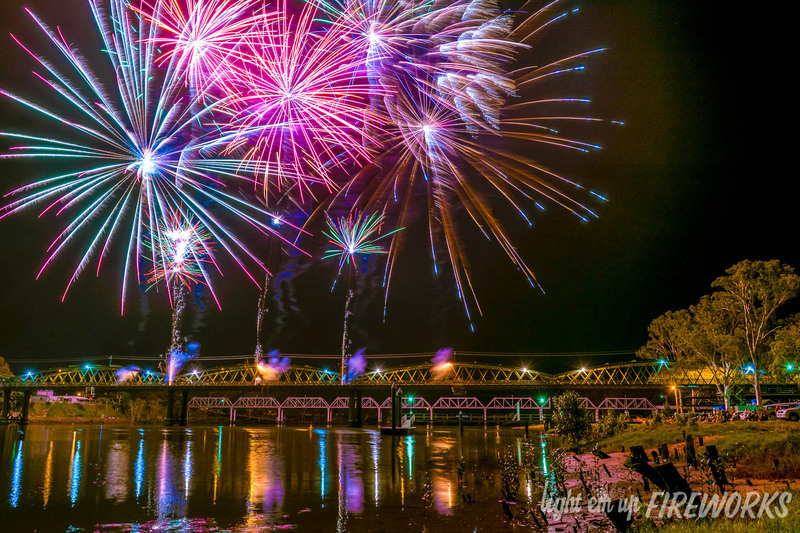 We custom choreograph a Fireworks Display specifically to suite your display location, optionally integrating a musical soundtrack which can be played locally and/or broadcast via a local Radio Station. 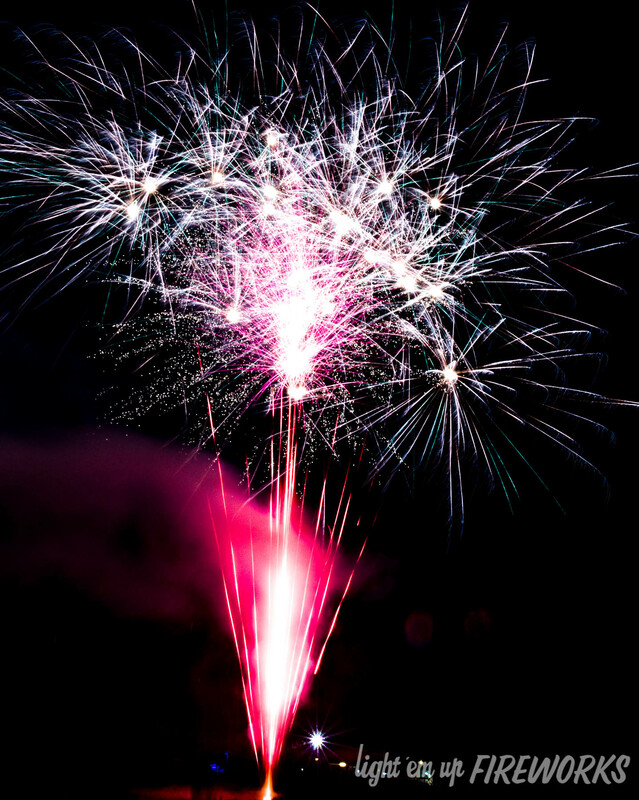 A Stadium Fireworks Display will help keep your guests excited until the very end of your show, maximising your vendor's sales, and giving the crowd what they have come to expect. Your Stadium Fireworks Display will keep them coming back for more each year! Custom timed soundtrack design available. What better way to bring that extra excitement to your event, as either half time entertainment, or as a spectacular finale. 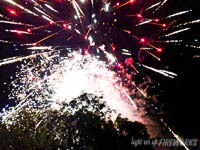 Let a spectacular Light 'Em Up Fireworks Fireworks Display increase your ticket sales, for quite a reasonable investment. 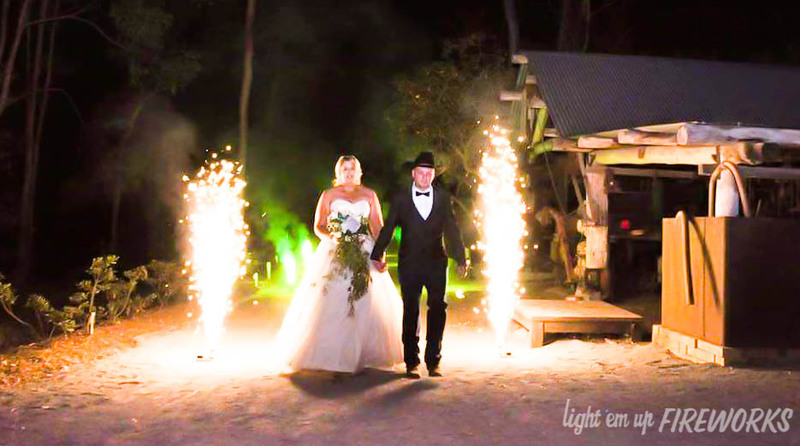 Add that extra splash of excitement to your wedding with an elegant Fireworks Display by Light 'Em Up Fireworks. We carefully design and choreograph your display to fit in with your theme, working with your venue, designers and photographer to enhance your special day. You may even wish to have this a a surprise for your guests, or perhaps a surprise for the Bride / Groom. Indoor effects, including table effects also available. 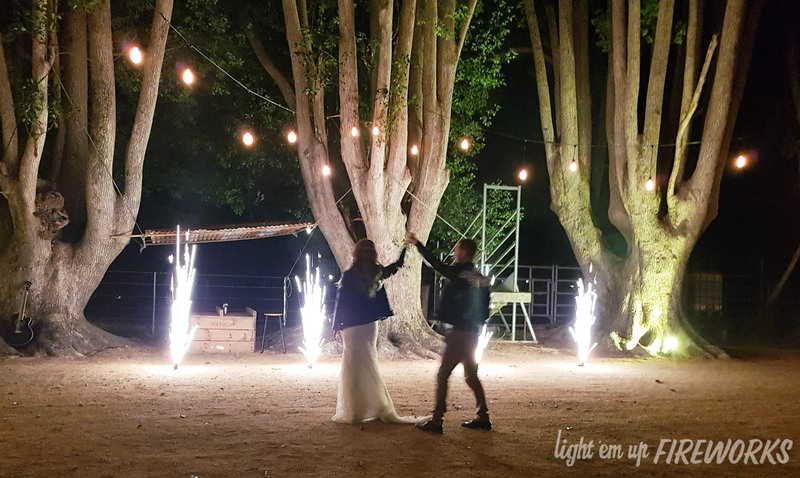 We can also provide bubbles, streamers (hand or cannon launched), confetti (hand or cannon launched - including dissolvable), ice fountains and sparklers. Lighting firecrackers is one of the most important customs of the Chinese New Year celebration. Light 'Em Up Fireworks can legally and safely let off strings of firecrackers for your celebration, working in with traditional Chinese Lion Dance performers as required. 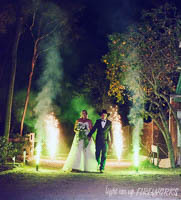 We can also do firecrackers for Traditional Chinese wedding ceremonies. What better way to keep your guests until the very end of your event, making sure they get the maximum out of their day. Your event will be the talk of the town. 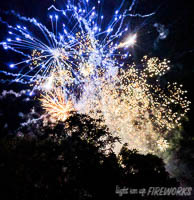 We also have sponsor packages available, ensuring we incorporate your sponsor name(s) into the fireworks show. Ask us about our fund raising packages, as well as sponsor packages. We have performed hundreds of Fireworks Displays for Community Festivals all over Queensland. 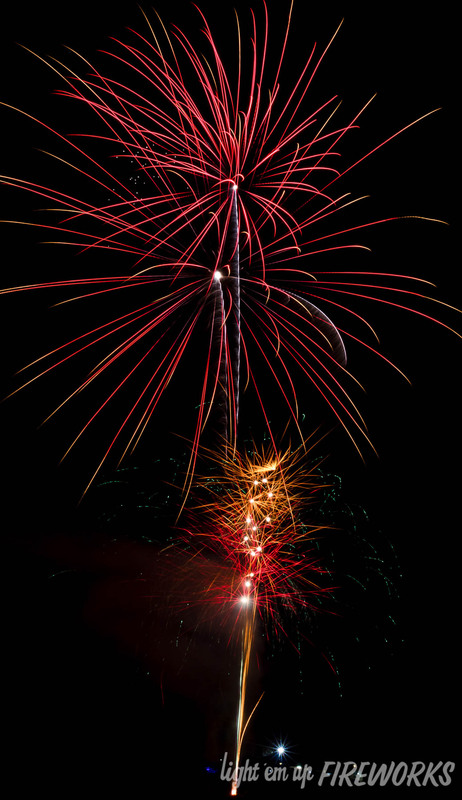 Fireworks are an excellent way of attracting large crowds to your community event, keeping them around right until the end! 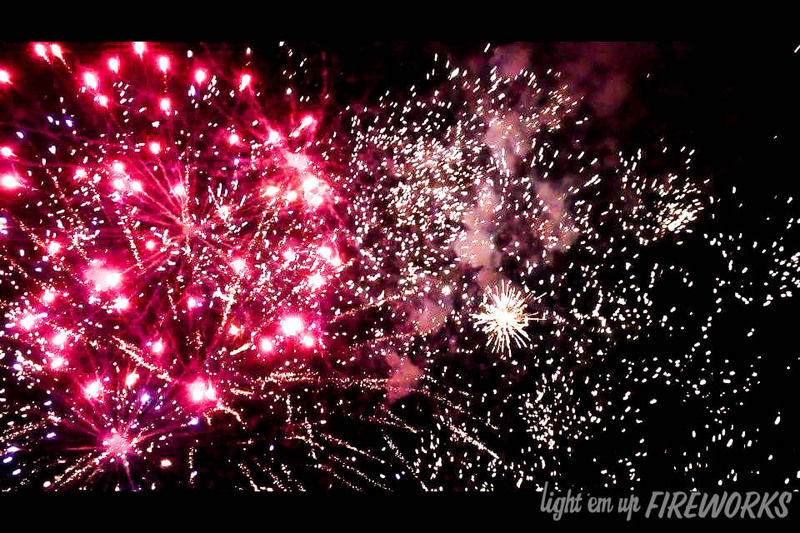 Need some special pyrotechnic effects for your Stage / Concert / Theatre / Movie production in Queensland? 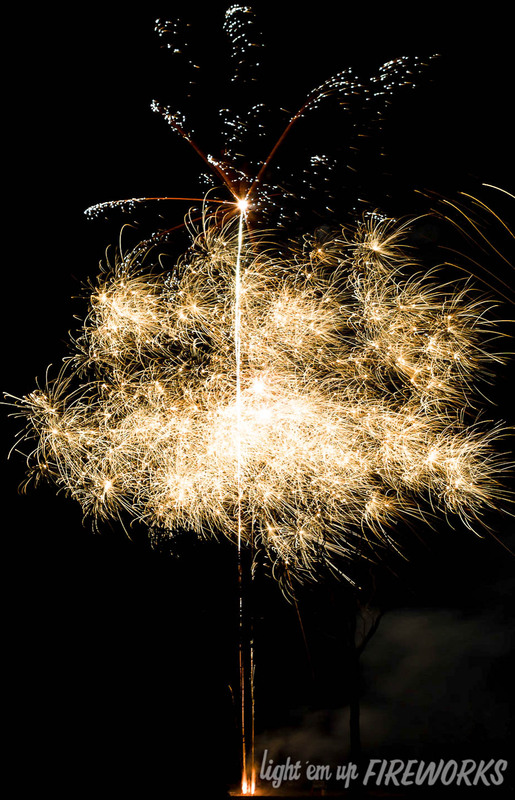 Our Pyrotechnicians will work with you to provide that extra special something to your production - indoor or outdoor, including squibs, showers of sparks (gerbs), spark waterfalls, bangs, gun and cannon effects. We can also further enhance your production with CO2 Jets, Confetti Rain / Blasts, Stage Fire Effects and much more. 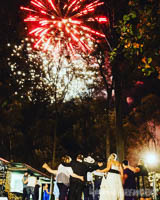 Why not blow your guests away with a Private Fireworks Display from Light 'Em Up Fireworks? Spice up your stage presentation or table decorations with indoor fireworks, or if you have enough space, a spectacular outdoor display. We handle all the required paperwork and permits for you, all you need to do is sit back and let your guests be amazed! Need your display to be a surprise? We do this all the time! Weekday (Mon - Thu) discounts available. 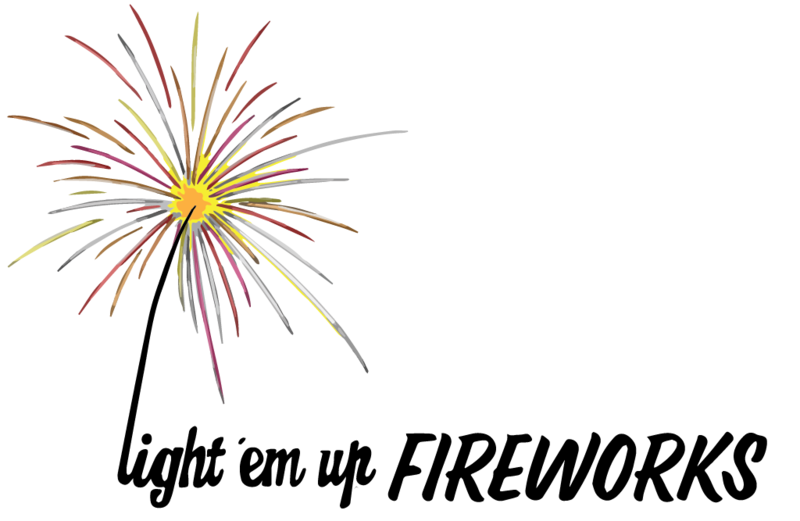 10, 9, 8, 7, 6, 5, 4 ,3 ,2 ,1, HAPPY NEW YEAR! What is a NYE celebration without Fireworks? 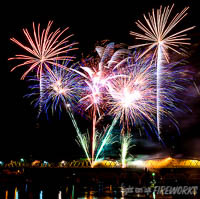 We can provide a spectacular Fireworks Display for your City / Town / Community / Private Party. As you can imagine, NYE is our busiest time of the year, so make sure you book us as early as possible to avoid disappointment. 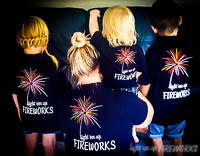 Enhance your Match / Race Day, Fundraising Day, Start / End of Season Game with an exciting display by Light 'Em Up Fireworks. 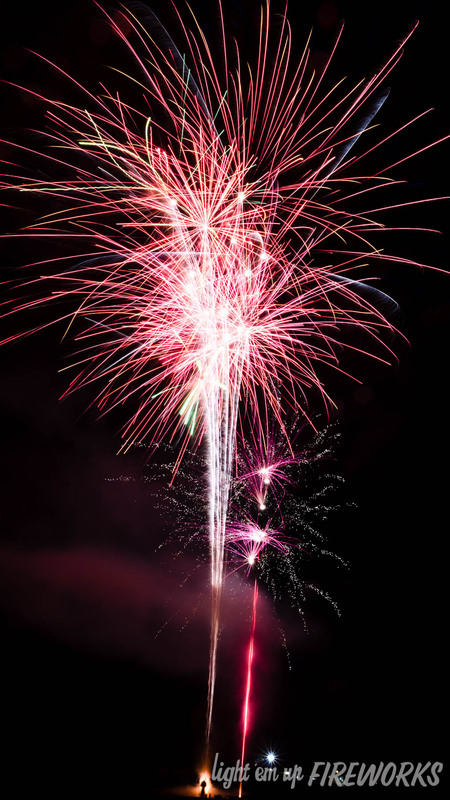 We can provide a half time / full time Fireworks Display to entertain your crowd, or help your teams celebrate a Goal / Try / Home Run with effects such as mines, gerbs (shower of sparks), flame effects, all while the players are still on the field. Daytime effects also available. Looking to provide any of our services as part of your own business packages? We often work with venue providers, photographers, wedding planners and entertainment providers, allowing them to enhance their services, and make event planning for their clients as easy as possible. Interested? Contact us for more details. A quick glimpse at some of our displays ! Pricing guide for a fireworks show. Our fees always include all relevant government and agency permits, licenced and professionally trained Pyrotechnician (in the relevant state jurisdiction). Travel time, accommodation, additional staff, set-up time, show size and duration always play a part in the overall cost of a show. All shows can also be timed to music, this adds only a slight overhead to the price. Small show designed to keep your guests until the very end of your event, making sure they get the maximum out of their day. Your event will be the talk of the town. 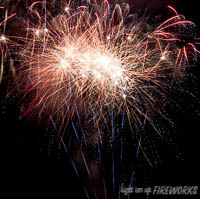 We also have sponsor packages available, ensuring we incorporate your sponsor name(s) into the fireworks show. 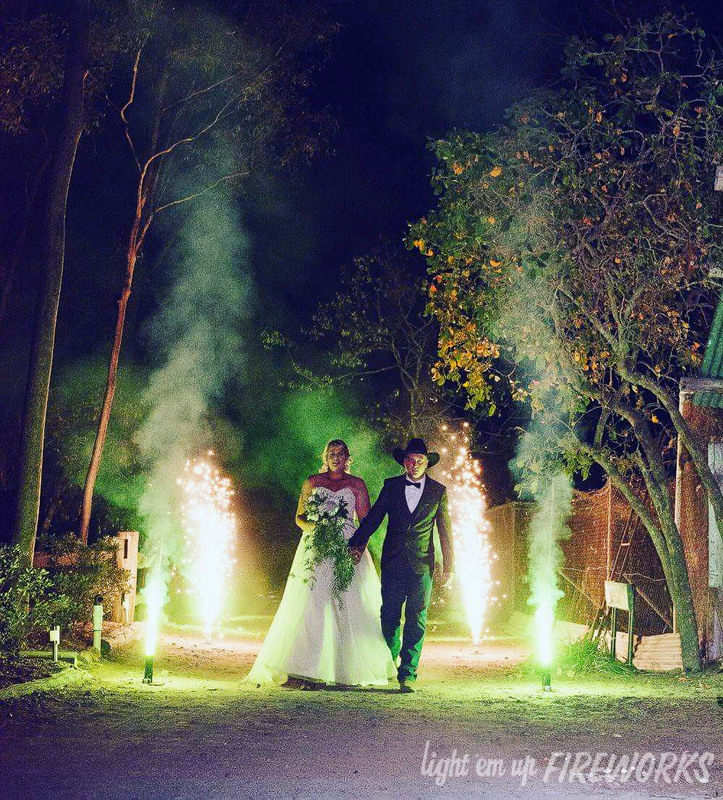 Add that extra splash of excitement to your wedding with an elegant Fireworks Display by Light 'Em Up Fireworks. We carefully design and choreograph your display to fit in with your theme, working with your venue, designers and photographer to enhance your special day. You may even wish to have this a a surprise for your guests, or perhaps a surprise for the Bride / Groom. Stadium sized show designed to keep your guests until the very end of your show, maximising your vendor's sales, and giving the crowd what they have come to expect. 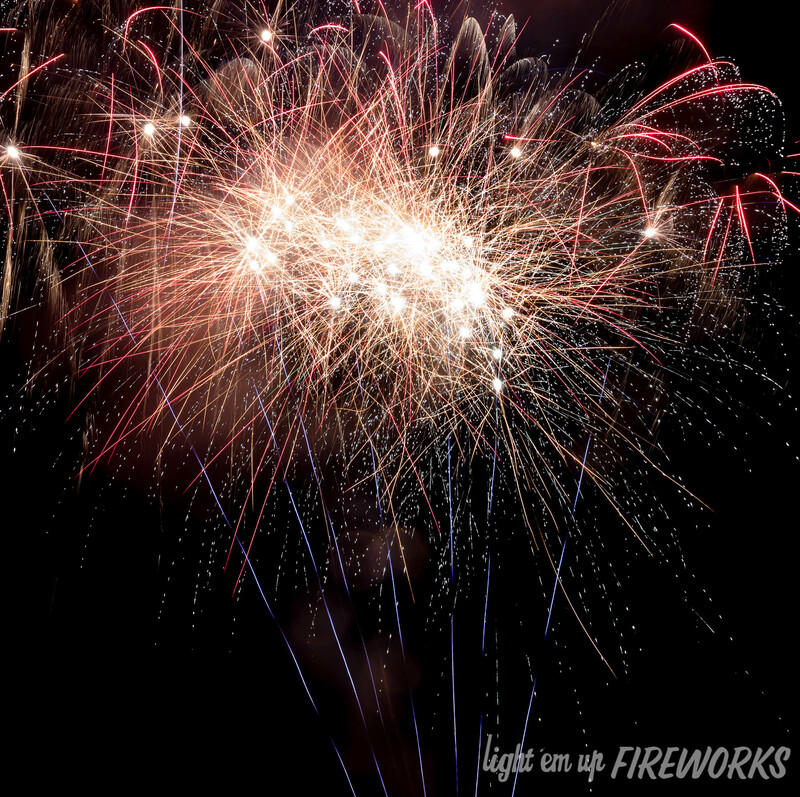 Your fireworks display will keep them coming back for more each year! This is only a small overview of what pricing you can expect, and what our capabilities are. Let us know what you are after, and we will do our best to make it happen! A team of hard-working, professional and enthusiastic Pyrotechnicians helping bring your event to life. 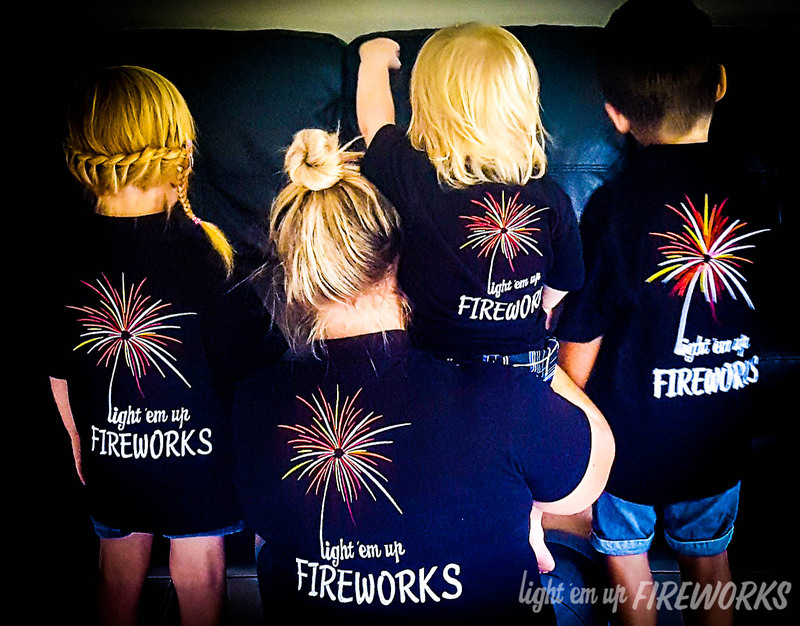 Light 'Em Up Fireworks is based in Bundaberg, travelling all over Queensland, NSW and beyond. We will travel where our displays are needed. We also have teams based in Brisbane, as well as Northern NSW. Wherever you need a show, we have you covered! Wide Bay, Fraser Coast, Burnett, South East Queensland and Beyond! © 2019 Light 'Em Up Fireworks.